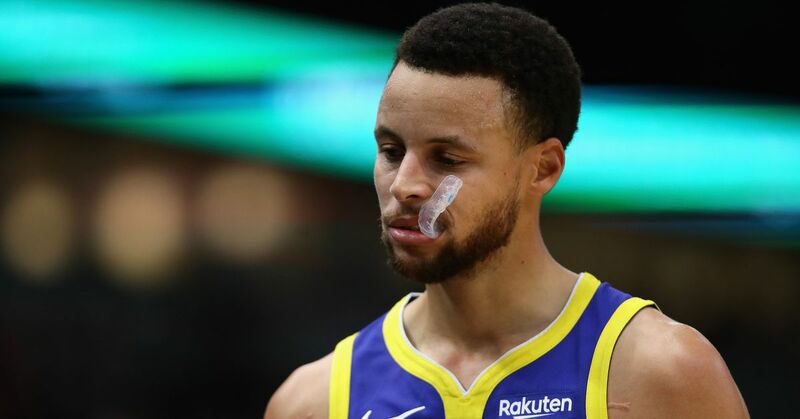 On Thursday night, in the midst of an ugly game against the Milwaukee Bucks, the Golden State Warriors were dealt the sight they least wanted to see: Steph Curry heading to the locker room. Curry left the game in the third quarter after landing slightly awkwardly, and he immediately went to the locker room. In the fourth quarter, the team announced that he had suffered an adductor strain, and would not return to the game. Injury update: Stephen Curry (left adductor strain) will not return to tonight’s game. For those unfamiliar with anatomy, and who don’t feel like using Google, the adductor is part of the thigh, right around the groin. On the bright side, Curry was walking okay, and didn’t look very distraught. For now, all signs point to him being okay, and back on the court soon. Still, it’s not anything anybody wanted to see. And it put the moldy cherry atop the melted sundae, as Curry had his worst game of the season, finishing with 10 points on 5-14 shooting, and no three-pointers. We’ll keep you updated as any more news on the injury occurs.